TRIPLE MANTRA clears all types of psychic and physical obstacles in one's daily life. It is a sure protector against car, plane and other accidents. It cuts through all opposing vibrations, thoughts, words and actions. Listening to or chanting TRIPLE MANTRA will strengthen your magnetic field and keep negativity away. There are three parts to this mantra. 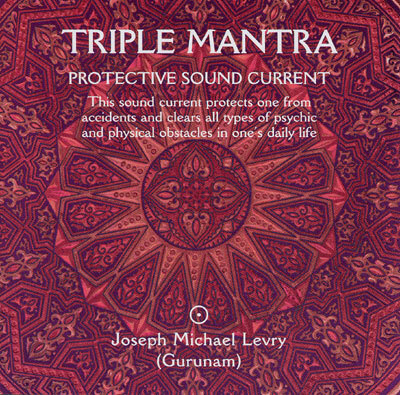 The first part will surround you with a powerful light of protection, the second part will remove obstacles from your spiritual path and the third part will remove all types of obstacles from your daily life.